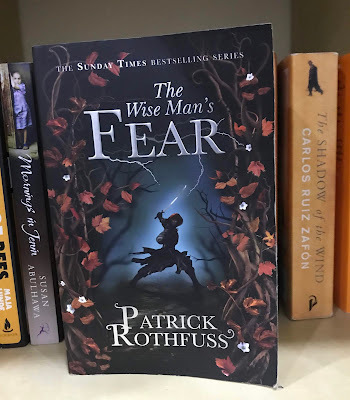 I read the first of Patrick Rothfuss’ Kingkiller Chronicles trilogy, The Name of the Wind, last year for my office book club and after one of the staff in the bookshop heartily recommended it. You can read my review here, I had a great time reading this book. As soon as I finished it, I went looking for the second book in the trilogy, which is the one being reviewed here. The story is told by Kvothe as he looks back on his life. He freely admits that much of the legend that has grown around his life is a mixture of good luck, circumstance and some embellishment from him. Alongside bringing back some of the characters from the first book and introducing some news one, the novel also further develops the fantasy world it is set in: the geography, the various races and their customs and the politics of the place. There are two additional stories that run throughout both novels. The first is Kvothe’s hunt for the Chandrian, the mythical beings who slaughtered his parents in the first novel, both in his travels and in his research. The second is the tension in the books present day. 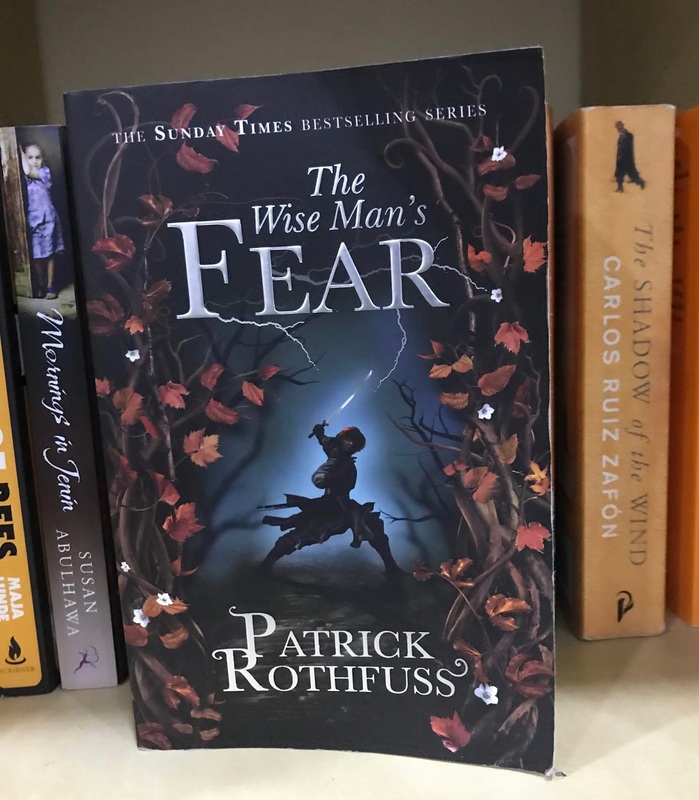 As Kvothe tells his life’s story in the inn he now runs, people come and go with news of political unrest, war and demon attacks – something people barely even believe in. You almost get the feeling that the three novels in the trilogy will just about bring you up to date and then the real story – the chaos that is looming, will really begin. I did enjoy Kvothe’s escapades, but after about half way, I started to struggle. At this point much of the book was about how Kvothe got his strength and fighting skills and took quite some time telling you about them. I also thought that whilst Kvothe’s character was likeable, he was a bit ridiculous at times – a clever, but weedy teenager that had girls swooning over him at every turn. I did like how often he got into trouble and how sometimes he just didn’t care. Some have said that the female characters in the book: Denna, his friends, his dangerous money-lender even, are a little one dimensional, I think perhaps there is something in this. The Kingkiller chronicles have a very keen fan base, they really sing the books praises and more than once I have heard them or read them saying that these are the best books they have ever read. Much as I enjoy fantasy, I wouldn’t go that far for these books. I would recommend people to try the first book and only read the second if they really loved the first one enough. The third book has been long awaited and is yet to be released, once it is, I most likely will try it.